These precious earrings would make a lovely addition to any woman's jewelry box. The stud mounts and bamboo style coin bezel are of 14K solid gold. 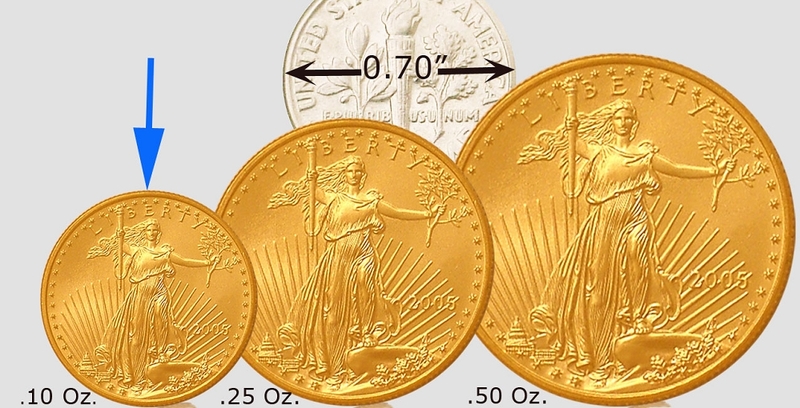 The coins are genuine US uncirculated $5 Gold Eagles, each of 22K gold and containing .10 troy oz. gold. These precious earrings would make a lovely addition to any woman's jewelry box. The stud mounts and bamboo style coin bezel are of 14K solid gold. 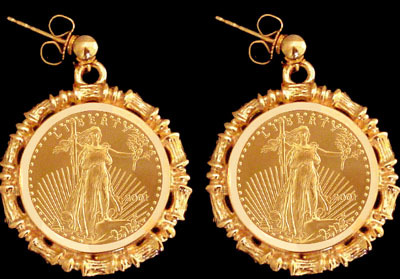 The coins are genuine US uncirculated $5 Gold Eagle coins, each of 22K gold and containing .10 troy oz. gold. Each coin has a diameter of 16.50mm. Optional Aurista's exclusive LensCote polymer to protect the coin into the next millennium. 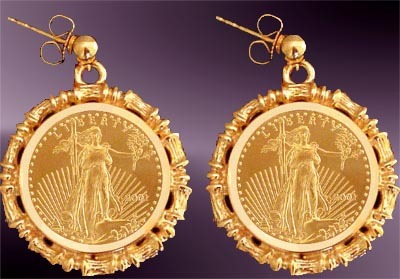 The gold American Eagle is our nations number one bullion coin.